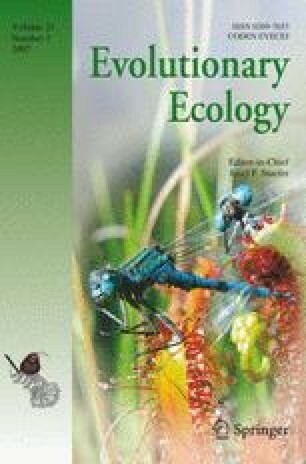 Preferred body temperatures (T sel) of ectotherms are important for ecological and evolutionary studies. In lizards, the measurement of T sel is controversial for several reasons, generally related to hypotheses addressing how T sel may evolve in the wild. Although seldom explicitly tested, evolutionary hypotheses of adaptation to local climate require that T sel meets the conditions of natural selection, which include repeatability, heritability and a link to fitness. Here, we investigated repeatability (τ, intra-class correlation coefficient) of T sel at several time-scales using four Cordylid species from heterogeneous thermal habitats. Although there was significant inter-individual variation within days (P < 0.005 in most cases), there was no significant inter-individual variation when calculated across several days (P > 0.05). Repeatability was low in all species investigated (from 0 to 0.482) when compared against other estimates of repeatability of T sel in the literature. Irrespective of how T sel was calculated, it showed inconsistent and variable temporal effects across species. Furthermore, repeatability of T sel did not change with acclimation to laboratory conditions. These data have implications for understanding the evolution of thermoregulation in these and other ectotherms. We thank M. Esterhuyse, R.M. Trullas and various members of the Vertebrate Functional Biology group at the University of Stellenbosch for field assistance. Sue Jackson and Ray Huey as well as three anonymous reviewers provided valuable comments on an earlier version of the manuscript. Research was conducted under permit (#196/2004) from Cape Nature Conservation (South Africa) and was approved by the Institutional Animal Care and Use Committee at Drexel University and the Sub-committee B of the Research Committee at the University of Stellenbosch (Protocol #02669-01 and #15986). Financial support was provided by The Leatherback Trust and the Betz Chair of Environmental Science at Drexel University. JST was funded by Grant FA2004032000006 from the National Research Foundation.